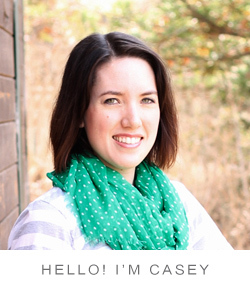 Fall is my absolute favorite time for crafting. It's so easy to get comfortable with a project when it's cool outside and the leaves are falling. 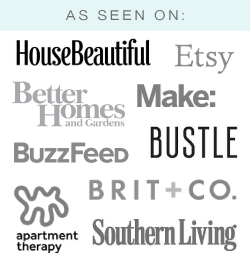 I've done a few Fall and Halloween DIYs over the years and thought I'd dust them off to share, in case you're looking for something for a project to start for the weekend. 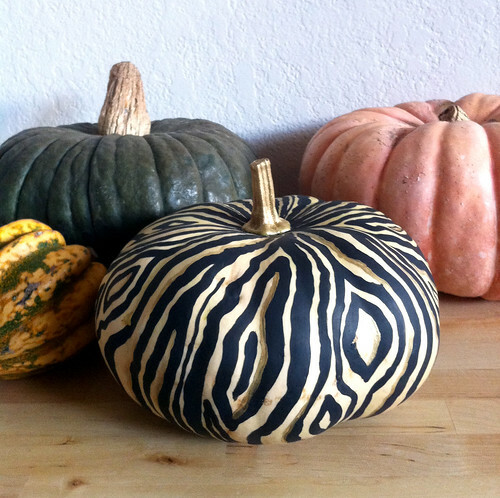 Start off with a faux bois painted pumpkin! 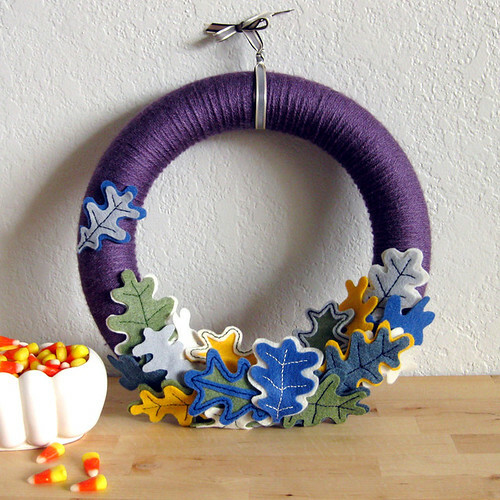 This felt and yarn oak leaf wreath is still one of my favorite projects. Keep it on your front door through Thanksgiving! 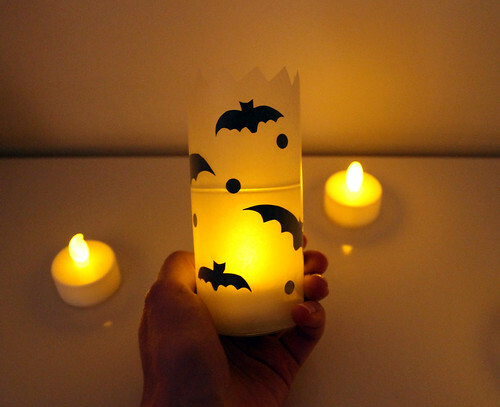 Black cardstock, waxed paper, and a few basic tools are all you need to make these cute Halloween luminaries. 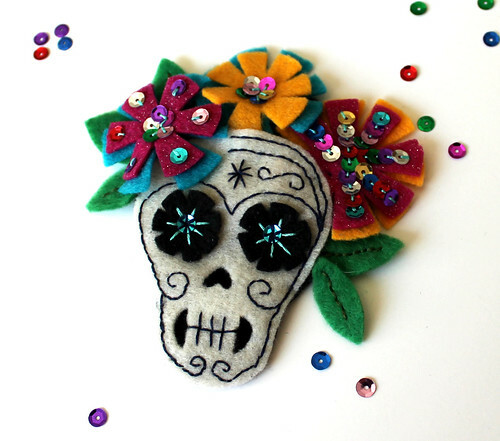 Make this skull headpiece out of felt and embroidery floss! 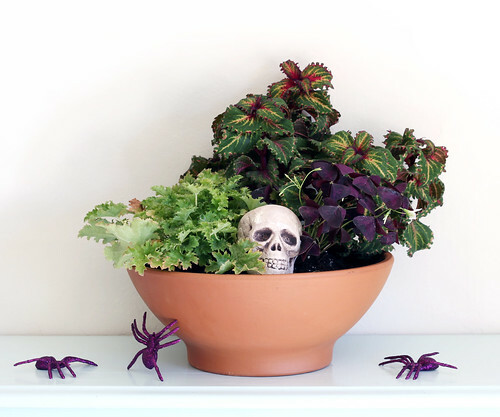 A spooky Halloween planter would look great as a table centerpiece. Spice up your party decor with this easy paper clay skull garland. 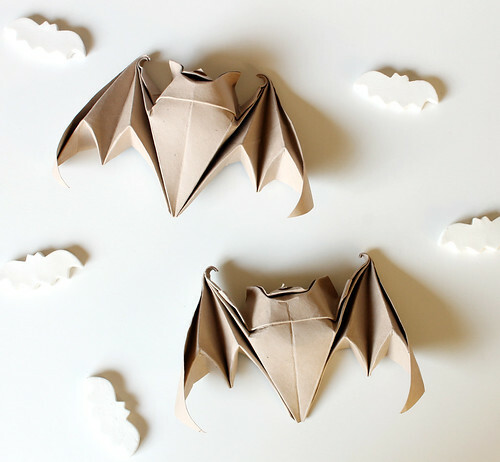 These origami bats are a little challenging to make, but worth the effort! 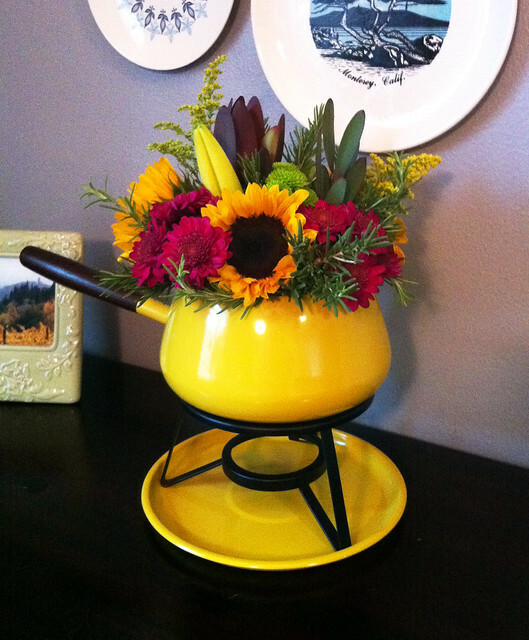 It's not quite a tutorial, but a fall-themed flower arrangement in a fondue pot is a fun idea! Great stuff. 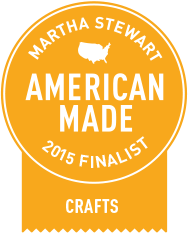 It seems like you used DMC embroidery floss for the skull.